In Aidan gets my vote I suggested St Aidan was a more appropriate patron saint for England than St George. Thinking about that again on this year's St Aidan's Day (31 August), I think he would make a suitable saint for all Britain - except perhaps Wales. 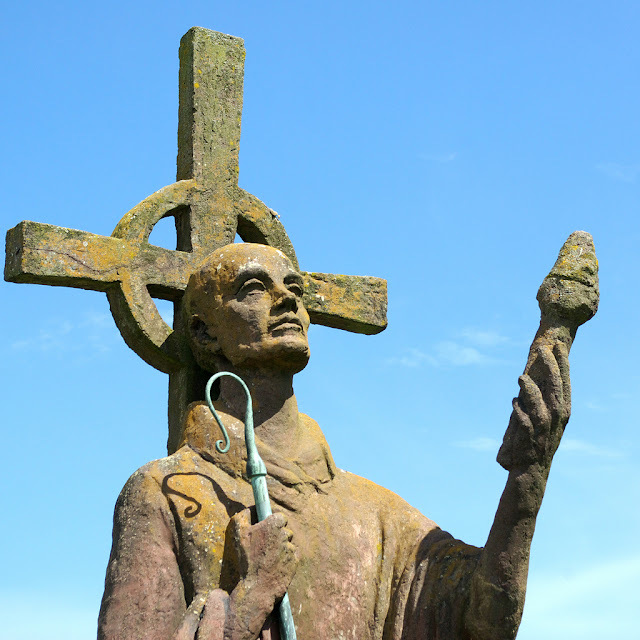 The photo above is of part of the statue of Aidan on Holy Island in Northumberland.